Fireplaces, stoves, inserts and other hearth appliances are one of the most popular features in American homes. In fact, half of all U.S. households have at least one fireplace or freestanding stove. Today, the selection of hearth products is greater than ever. Whether you're looking for a beautiful fireplace or fireplace insert to add romance to your living room, a freestanding stove to heat your home, or even to create an outdoor living room we can help. 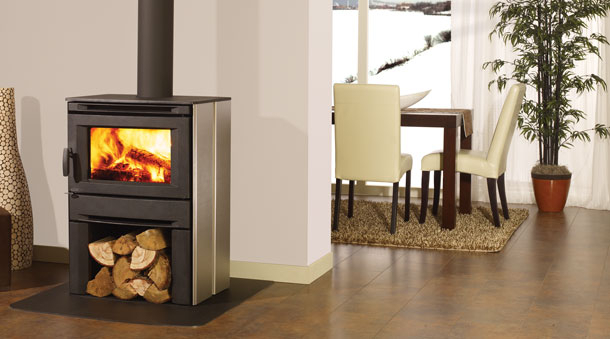 Heat Wave offers a wide selection of fireplaces, stoves, inserts and accessories to fit any home and any style, however, planning and installing hearth products and their venting systems requires experience, technical knowledge and skill. Numerous decisions, from proper clearances to appliance sizing and placement to venting system compatibility and height should all be made with the expertise of a specialist. Heat Wave offers in house installations by National Fireplace Institute® certified installers and staff. Please stop in and see our beautiful showroom with over 40 burning displays.